good and cheap rarely go together. Mikuni or PWK all the way. 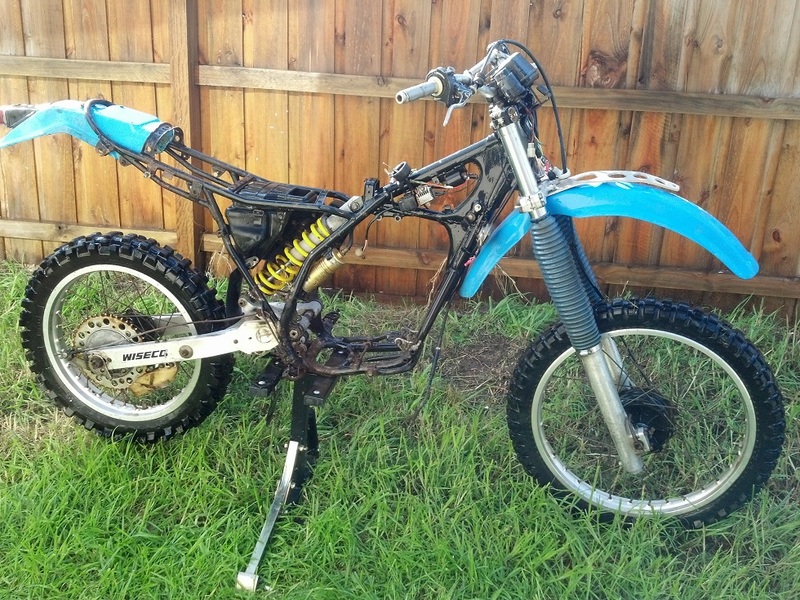 I've seen good condition Yamaha IT200 carbs for a fair price on US eBay. Set-up your eBay search notifications and get bidding ! Why not use what Yamaha intended ? Funny I see your question-I played musical carbs out of boredom last week. I had a spare Keihin PJ 38mm laying around so I put it on my 1978 CR250. Huge difference! Since the CR ran so much better, feeling lucky, and never being afraid of a bit of a challenge, I put the Mikuni VM36 from the CR onto my 1986 IT200. I will admit I needed to treat the airboot to a blow dryer and push very hard into the intake boot. Also I had to be "creative" with the cable and the adjuster in the cap but it fits well and looks brilliant. But more importantly, it hauls the mail now with no perceptible loss anywhere. I previously was considering selling the bike. Not any more. Definitely fun to ride! throttle cable crushed or catching on something? I would say that your problem is an issue that would not be fixed by a different or modern carb. I would investigate your cable, crank seals and the condition of your stock carb first. A larger or flat slide will not improve the performance of the bike if has other mechanical issues with the bike. I meant to say that a modern carb will not fix the problem.